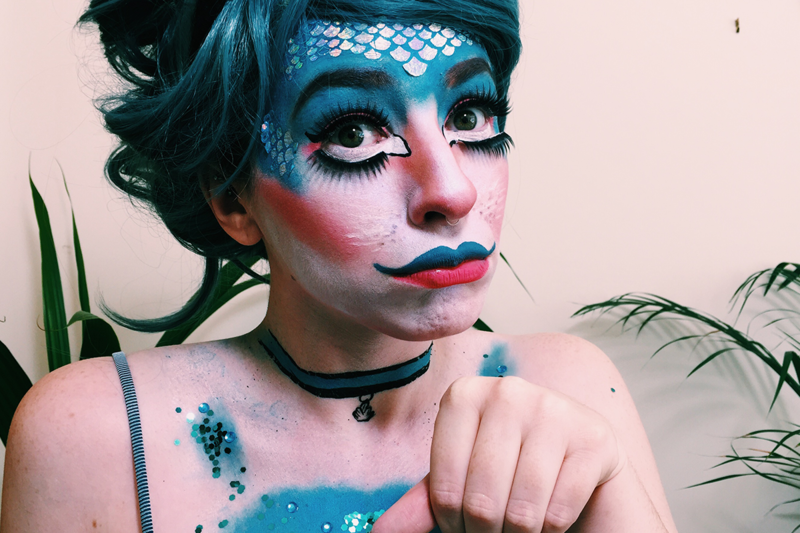 What do you get when you combine a classic Halloween cat with a beaut mermaid? A catfish of course! 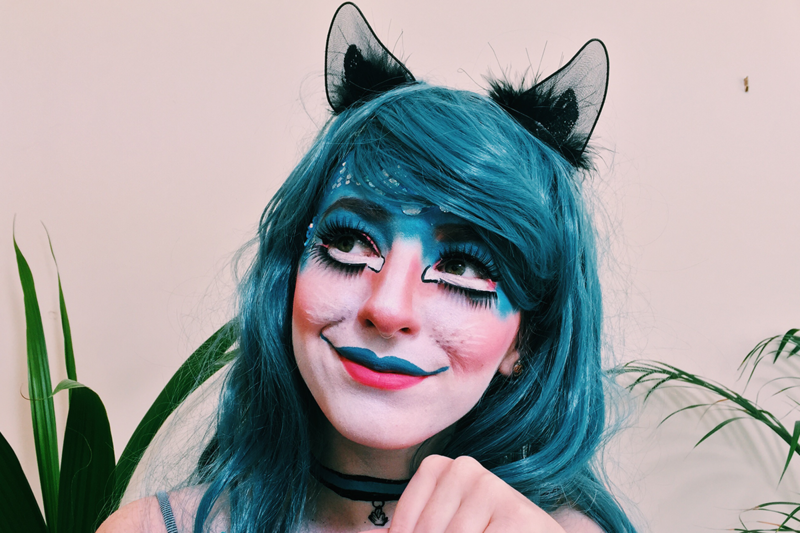 I had a number of mermaid glitter bits left over from festival season so used them as the principle inspiration for the look, and incorporated cute little cat features to make it more feline. 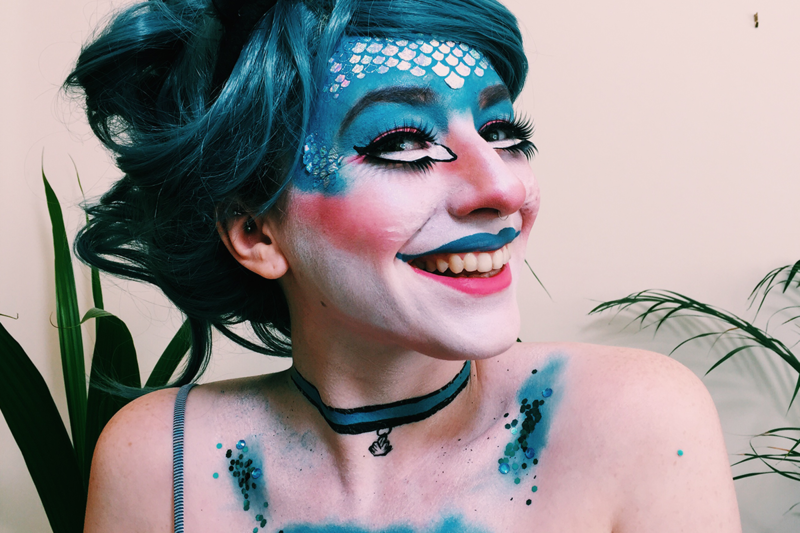 OMGOSHHHHHHH – This is probs my favourite look x How are you so talented? Oh well this one is very cute! I wish I could be creative with makeup! 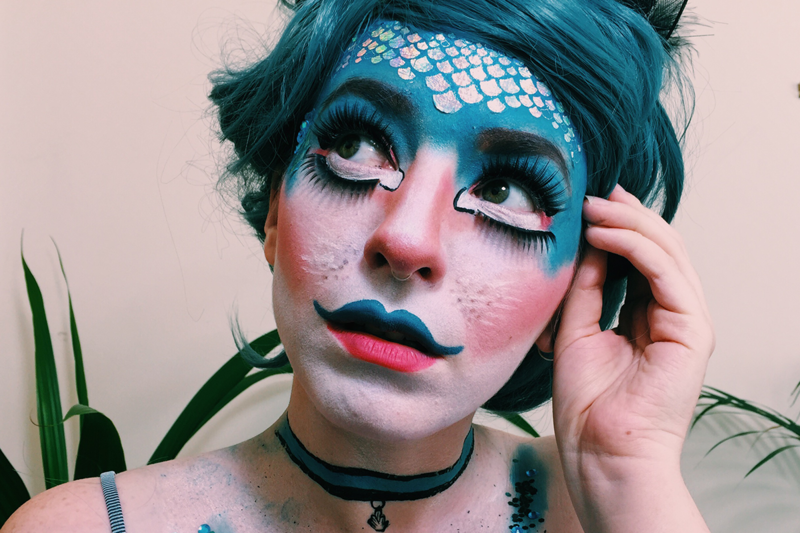 This look is SO much fun – Incredibly creative! I love it! 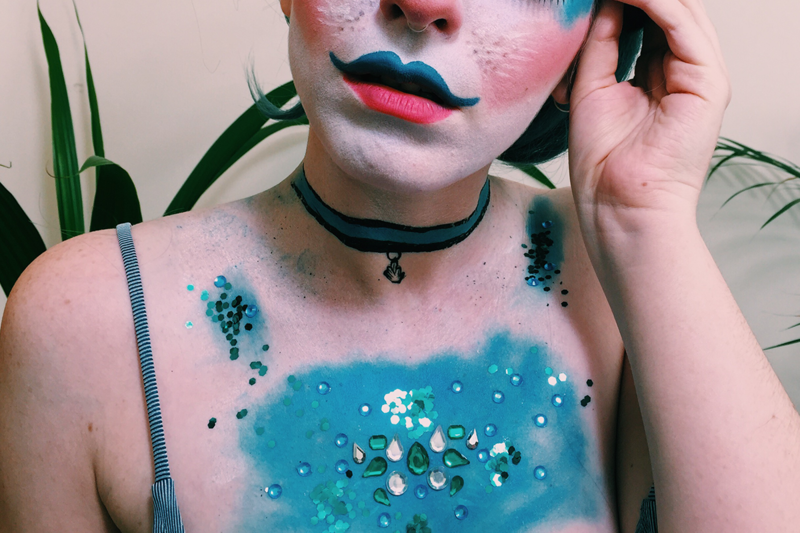 Awe thank you Britt, had a lot of fun doing this messy look!